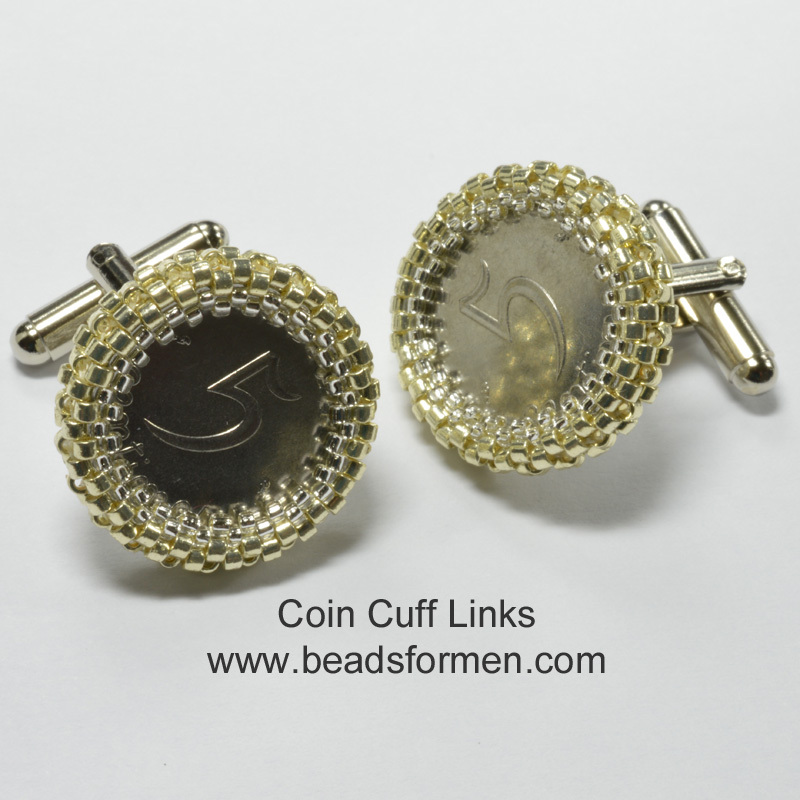 Copying beading patterns is a topic that creates a lot of passion amongst bead designers. 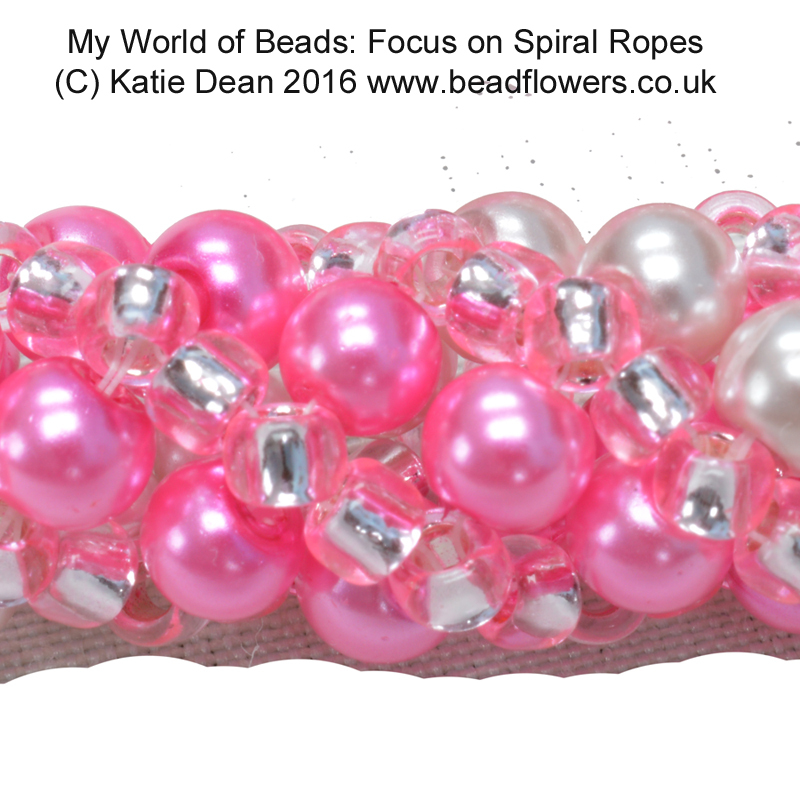 In fact, a long and passionate debate within the Beadsmith Inspiration Squad inspired me to write this blog. The debate took place a couple of weeks ago, or so, and I’ll be honest: I can’t even remember the question that started it all. What I do remember is a lot of lengthy comments, strong views and several slightly depressing conclusions. We weren’t at odds with one another: we all agreed that copying is the bane of our lives as designers. What we couldn’t agree upon was how to stop it from happening. So I am not about to suggest that this post will achieve that aim, but I do hope it will make a few people think. The first issue that we quickly realised is that the law around copyright is really, really complicated. There are a lot of ‘rules’, some are clear, some are not. Those that are not frequently have ‘moral’ implications. By this, I mean that the legal technicalities can be twisted and muddied in such a way that the action becomes ‘legally ok’, but it is still ‘morally wrong’. 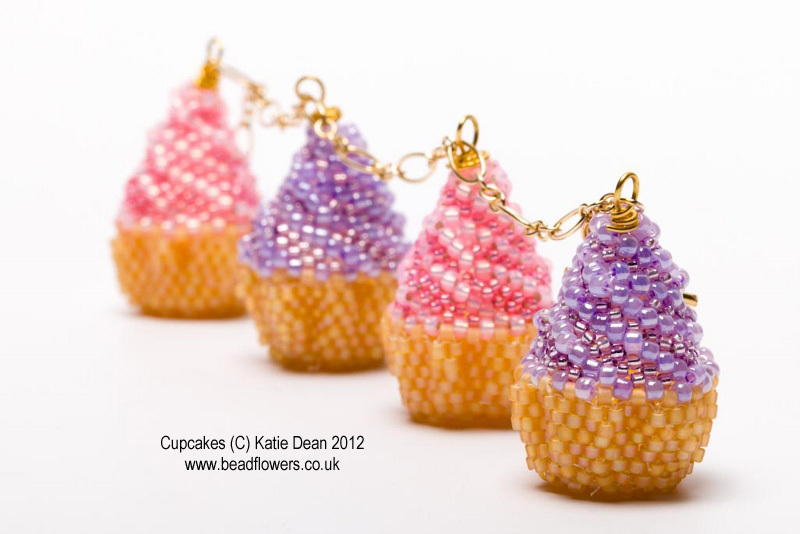 There ar e loads of ways in which you can break copyright law and find yourself guilty of copying beading patterns. You might buy a pattern legitimately, then photocopy it and pass it to all your friends. 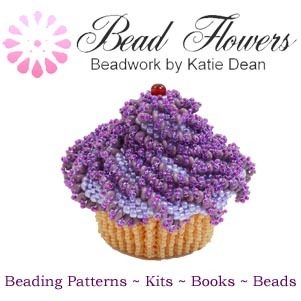 You might buy a pattern legitimately, then decide to teach it at your local beading group. You might buy the pattern legitimately, but decide to write your own version of the instructions, then sell it. You might not buy the pattern at all, but accept a copy from your friend. You might buy a copy from your friend, not realising that your friend is selling it without the designer’s permission. 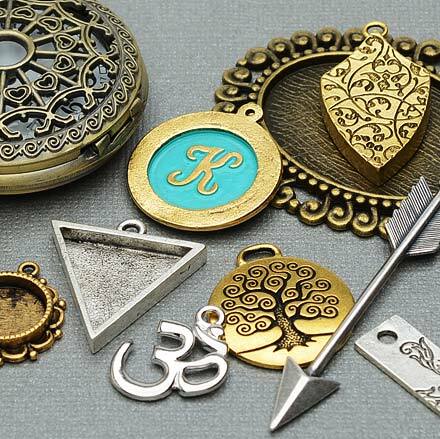 These are all illegal activities and they are illegal for the same reason: they infringe the designer’s right to decide what happens to their property (the design). Maybe you have done one of those things already. Maybe you’re sitting there thinking, ‘well I didn’t know’. Sorry, but ignorance is not a defence in the eyes of the law, so if the designer found out and if they decided to take you to court, pleading ignorance would not get you off. I am not going to cover the legalities here: I have written quite a few other blogs about copyright, which you are welcome to read here. Neither do I want to talk about any of the infringements I have just named (although they are all a bad idea for the first two reasons I’m about to outline). No, I want to talk about a very specific way of copying beading patterns. Imagine this scenario. You are flicking through Pinteres t looking for a bit of inspiration. Your eye lights upon a gorgeous bracelet design, so you click on it to take a closer look. As you really look, you find yourself sitting there thinking, ‘I recognise the beads it uses and I think I could work out how that’s done.’ So, you save the pin. 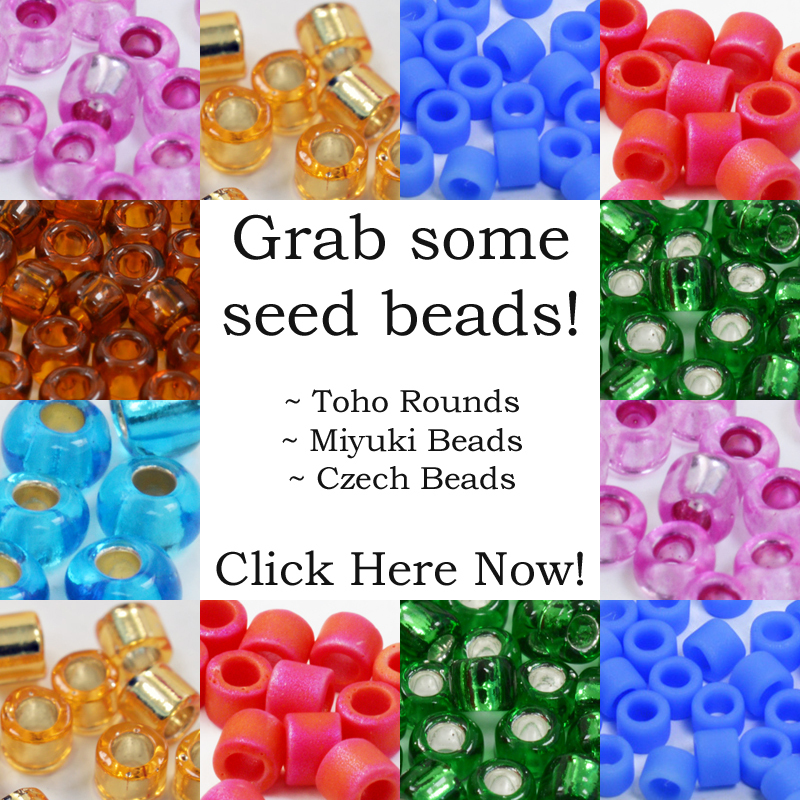 Next time you sit down to bead, you open up the picture, maybe you print it out, or maybe you just bead in front of your computer screen. You spend a few hours trying things and unpicking until you manage to replicate what you see on the screen. And bingo! 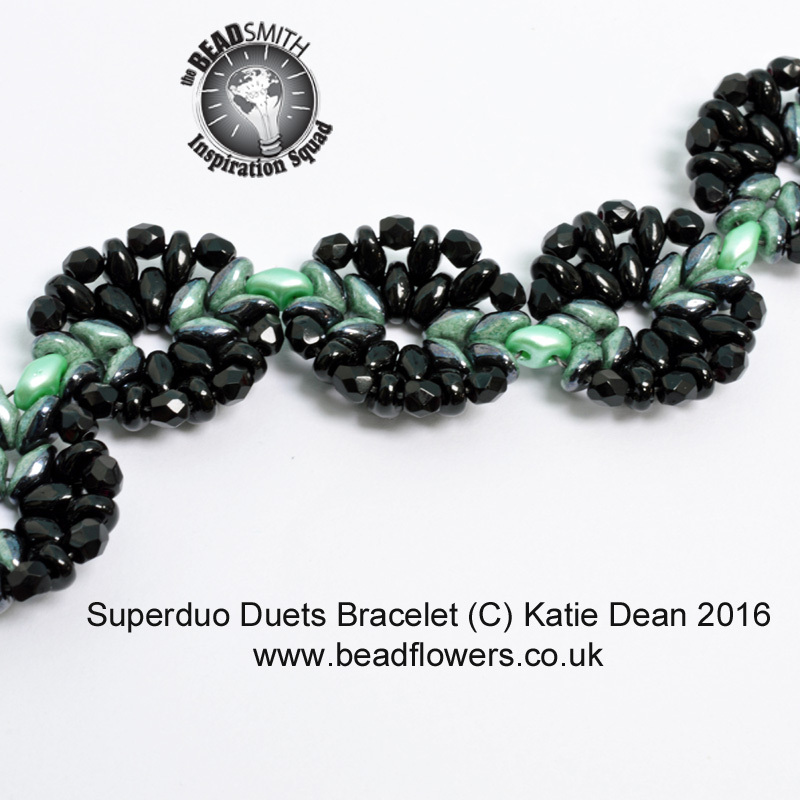 You’ve just saved yourself the cost of buying the pattern, but you still have the gorgeous bracelet to wear. That may sound like an absolute ‘result’, but I want to give you three reasons why it was in fact a really bad idea. You probably know what I’m about to say here: what you have just done is illegal. It constitutes copying a beading pattern without the designer’s permission. Well, so what? How is anybody going to know? If you’re smart, then nobody will know – except you. Maybe you never thought this was illegal, but now you know it is, how do you feel? Are you the person who really doesn’t care or does this niggle at your conscience just a little? I say, ‘if you’re smart’ with good reason. You’d be amazed how many people do this and then proudly post the image on their social media, with some comment that goes something along the lines of ‘look how clever I’ve been: I just figured out how to do this without anyone showing me.’ Maybe the original designer happens to see this – or maybe one of the designer’s friends sees it, recognises the design and tells the designer (this happens a lot, believe me – the beading world is still relatively small). Now you’re in a whole heap of trouble. You just admitted to breaking the law and the person that you hurt in the process knows about it. Best case scenario, the designer contacts you, somehow you manage to work things out amicably and you end up just paying for the pattern. Worst case scenario: lawyers get involved and it just goes downhill from there. So, maybe you get away with it (maybe you’re reading this and you’ve already got away with copying beading patterns in this way). Maybe this is the first time anyone has ever hinted to you that what you did was wrong. Or maybe you’re patting yourself on the back because you got away with it. If this is the case, then I suspect my second reason isn’t going to bother you too much. Copying beading patterns is also immoral. You may be one of those anarchic types who doesn’t play by the rules, who in fact thinks that ‘the rules’ stink because they only favour the powerful and often damage the weak. Maybe this is so. However, if you think that stealing from ‘Massive High Street Chain’ (add the name of your choice) is ok because they make loads of money, they’re not going to notice the theft and you’re poverty-stricken and really, really need this, it’s still illegal. Have you just made a moral argument in your favour though? Well, if you have, and if you think that this moral argument also applies in the beading world, then please think again. We all tend to form beliefs based on judgments about what we see on the surface. 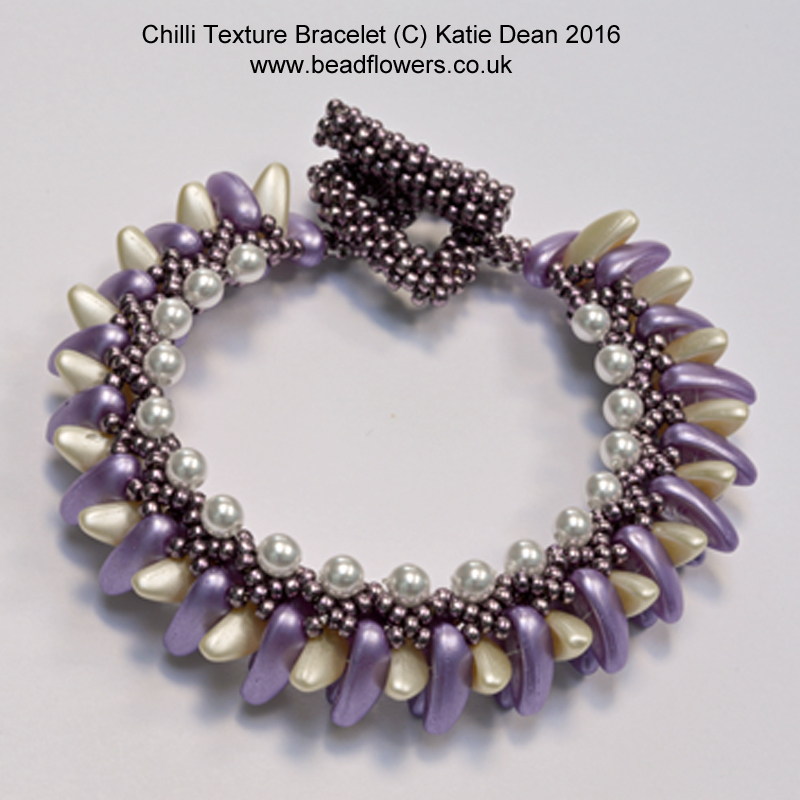 Let’s suppose you see a top name beading designer who seems to have a design in practically every magazine every issue, who runs a ‘really cool’ website that has several hundred beading patterns on it, and who teaches at all the big bead shows and appears on craft channels on TV. 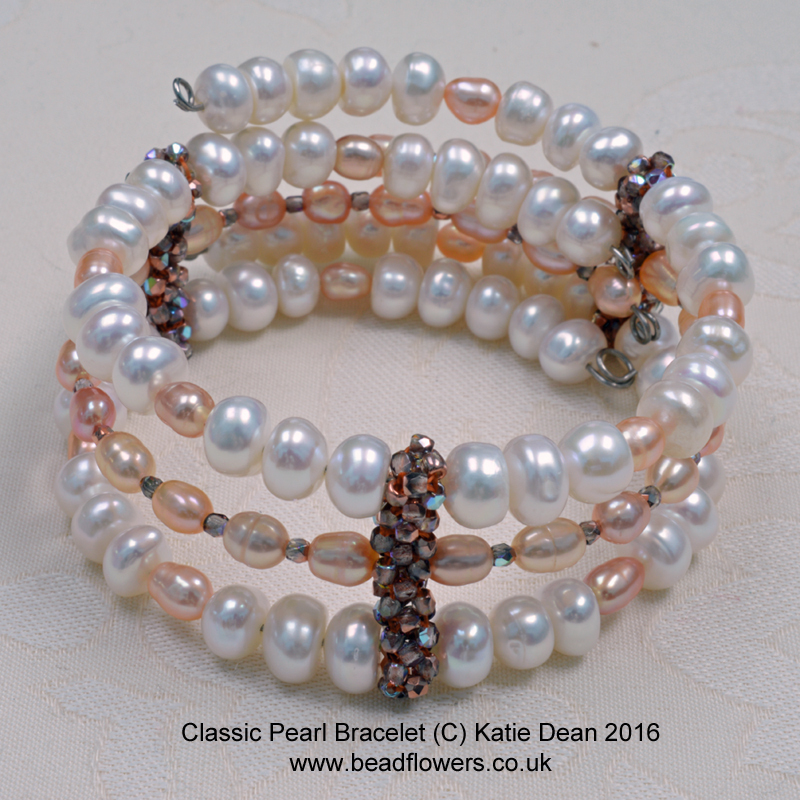 You may be forgiven for assuming that person is making a really good living out of their beadwork and they’re not really going to notice if you decide to benefit from one of their patterns without buying it. The first thing I want to say is th at I know a few beaders who might appear to fit the description I’ve just given. I also know that none of them is making a good living. Number one, payments for projects in magazines, appearances on TV and all those apparently ‘high profile’ activities are in reality really, really small. Sometimes they sound ok, until you think about the amount of work that the designer has put into this appearance behind the scenes. Let’s say you get paid £250 for a 5-hour TV show. That sounds pretty good right? – £50 an hour would be a pretty nice job. However, that £250 also has to cover two weeks’ worth of work in creating the designs to show, maybe the materials you used for the designs, maybe also travel expenses and overnight hotel expenses to cover the logistics of managing to appear on the TV show. Suddenly that £250 sounds pretty pathetic for all that work. The point I’m trying to make here is that you may be justifying copying beading patterns because you’re sitting there thinking that you’re on a low income, you’re literally having to make choices between whether to buy a meal or buy a beading pattern and you figure that you deserve a bit of pleasure in your life, so you’re going to buy the meal and copy the beading pattern because the designer won’t notice the loss of £5. If that is you, then I am genuinely sympathetic, but I may also have described the designer there. 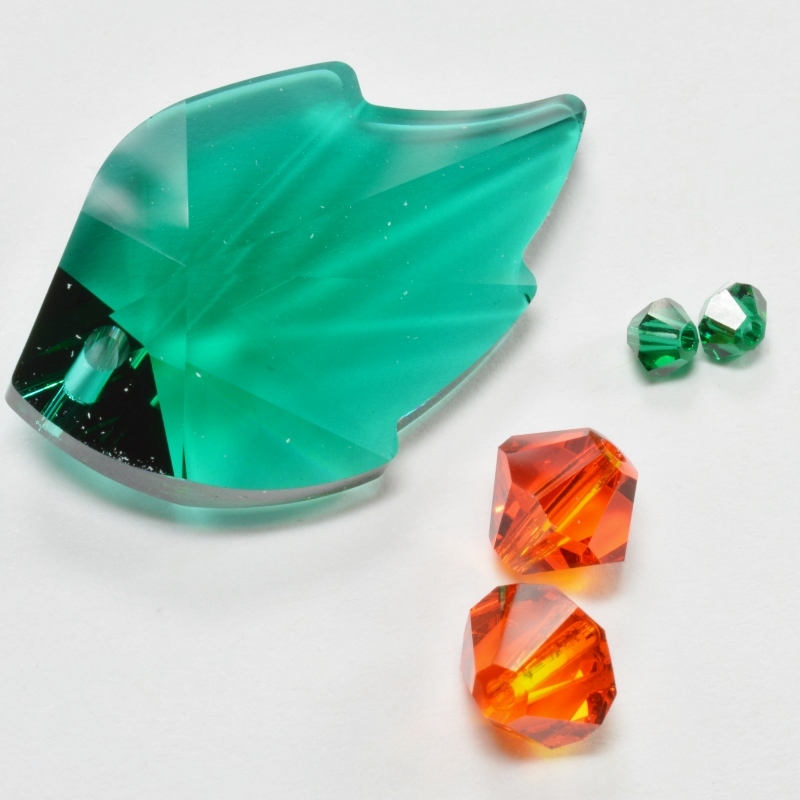 I do know of well-known designers in the beading world who have had months where they don’t know how to pay basic bills. That cliché of the struggling artist isn’t just a cliché and, speaking as a designer myself, I am truly, truly grateful for every £5 that comes my way from a pattern sale. It genuinely makes a tangible difference to my life. I don’t mean to bring out the violins here, but I do want you to think: trying to dodge paying for a beading pattern isn’t just about dodging the system and getting something for nothing, it genuinely does have an impact on the designer who created the pattern for you. My final reason I will try and keep short and sweet: copying beading patterns means you end up with a second-rate product. This occurred to me as a critical reason against trying to replicate someone’s work from a photo, as I was making work out is the actual agony that went into creating this. I had the design concept within ten minutes, but I spent several hours beading and re-beading because once I started using the actual beads, I found that the thread path needed to be incredibly specific in order to achieve the structure I wanted. That isn’t obvious from the photo. I tried first one idea, got the beads unbelievably tangled, so had to cut it up and start again. Then I modified the thread path slightly, but still wasn’t getting the results, and so on. 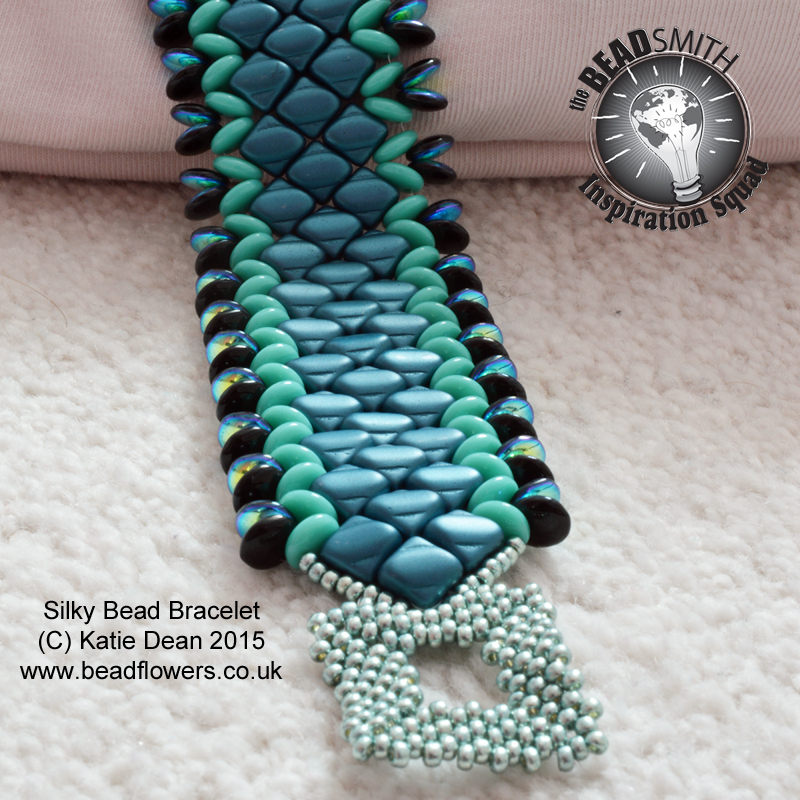 The thing that got me to finally manage this was a combination not just of my efforts that day, but a culmination of all the knowledge that I had gained over 13 years of serious beading. Now, I’m not trying to say that I’m some kind of special genius and that nobody else could do what I just did – that’s not true. But I do know how long it took to get the optimum thread path, both to make the beading process easier and to get a finished product that won’t break. 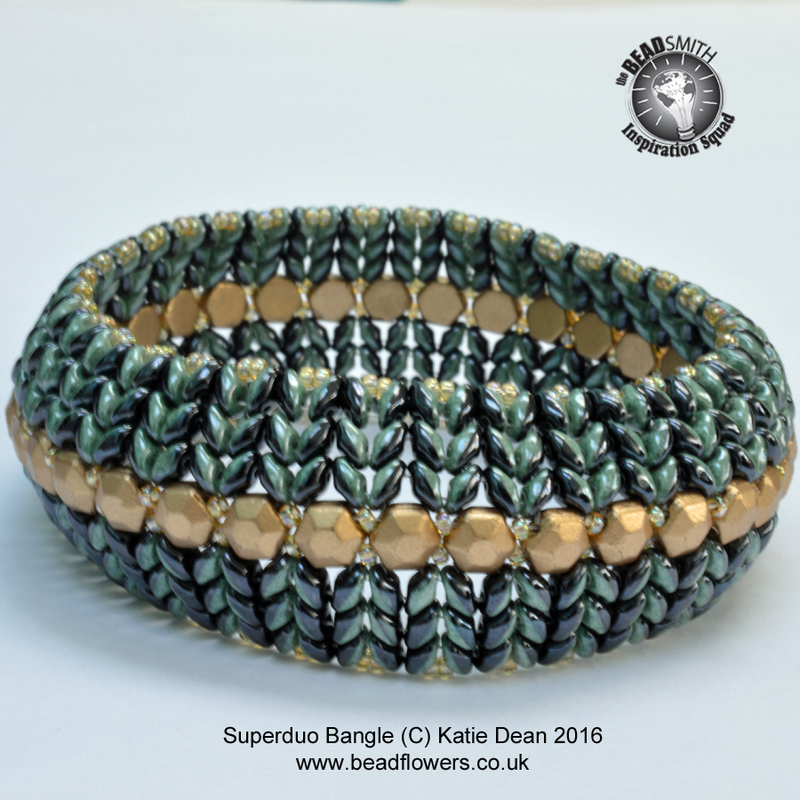 If you want to sit down for hours of frustration trying to copy my picture, that may give you a certain sense of satisfaction, but you could get the bangle a lot quicker by just buying the pattern. I went to the trouble of detailing all the little tips and tricks that got the structure right when I wrote up the design, so you aren’t just buying something you can work out, you’re also buying a load of tips from my cumulative knowledge. So what? You may think. Well, if you want to become a better beader, there really is no substitute for learning from a different teacher. Even the most famous designers still go to classes and buy other designer’s patterns just so they can get a different perspective on things. So, think about that! I started by saying that the law is complex. Before you start hunting around for ways in which people have been copying beading patterns and affecting your life, bear in mind two important legal points. Number one: accidents do happen. Number two: some things cannot be patented or copyrighted. I mention this because I heard a story about a designer who found themselves accused of infringing another person’s work. The work concerned was a country’s flag. The designer was publishing a pattern showing how to bead this flag. The irate beader contacted the designer to say that they had already made the flag, so the designer was copying them. There are two reasons why this accusation had no merit. Firstly, the designer had never seen or heard of the beader, so any similarity in their work was purely coincidental. This does happen, so if you are accusing someone of copying you, you are also going to need to be able to prove that they actually saw your work. The second reason was that, even if the designer had seen this beader’s flag, nobody owns the copyright to a country’s flag, or more specifically, to the idea of beading a flag. Loads of people have probably done that and they weren’t all copying one another. So, what are the take away messages from this long and rambling post? Firstly don’t copy someone else’s idea and pass it off as your own (does it really make you proud to do this anyway?). Secondly, yes, the law is complicated, but it is there to protect a person’s right to make a living from their intellectual property (the ideas that are uniquely from their head), so if you’re not sure whether what you want to do is going to hurt the designer, just ask them first! Contrary to what I may have implied in reason 2, this whole issue gets us designers so fired up because it’s about more than just money. We all choose to spend our lives doing this and we all know that it’s not going to make us millionaires. The biggest problem with someone stealing our designs is that it really hurts. The process of creating is highly personal and it feels like you’re putting a little bit of yourself out into the world. So when someone comes along and abuses that in some way, it hurts in a really heartfelt way that goes beyond legalities, moralities or money. Great article Katie. You gotta show designers respect. As you say, you are cheating yourself if you don’t. Pinterest is a bit of a nightmare for copyright at times, as it doesn’t often show the origination of designs. Great eye candy, but not great at enforcing copyright. Thanks Lucy – you are totally right! I agree with you about Pinterest actually. And I would say that designers (and anyone making work and photographing it to share online) owe it to themselves to help themselves out there. I think if someone pins a pin from my website (for example), then Pinterest automatically links it back there. But I confess ignorance as to how the links are affected by the time someone has pinned, re-pinned, maybe used in another blog etc etc. So, I feel it’s important for me to watermark my image with the name of the design, name of designer and website where the design originated. At least that gives people the right information. I’ve seen it from ‘the other side’ where someone saw a design they loved, was trying to find the pattern legitimately, but struggling because the photo didn’t have any helpful information as to where it originated. Just a thought! 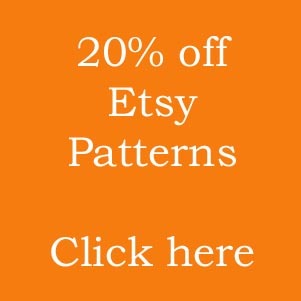 In my limited experience with Pinterest, looking for brick stitch patterns, I found it is often tricky to get to the original link and I have found that the name of the designer (via an Instagram link) or an Etsy page is the best way to track them down, but it takes a lot of sleuthing and clicking at times to get there. The watermark idea sounds like a good solution. I think if a pin comes directly from a blog, it all works pretty seamlessly, but sometimes the links get broken. There will always be the temptation to copy a design where it can be easily replicated, but what is the point when you cannot share the results of your efforts, which is part of the pleasure.